Beauty becomes you, but better still beauty comes to you at the Marcliffe's luxuriously equipped spa and hairdressing salon. Our trained therapists offer a wide range of treatments for men and women using 'Comfort Zone' plant, flower and marine based beauty products available only in five star spas, whilst the fantastic hydrotherapy bath will massage away the cares of the day. [comfort zone] is a leading Italian company in the field of development and production of skincare, products and treatments. [comfort zone] appeals to all and offers the ultimate spa experience. Lycon wax is a unique and prestigious product that uses both hot and strip waxes, is virtually pain free, prevents hair breakages, ingrown hairs and redness. Amazingly the wax will remove short stubborn hair as short as 3mm. Ideal for sensitive areas as face and advanced bikini waxes. ID Bare Minerals is a pure, mineral based make-up with no chemicals or dyes providing a beautiful finish. Fake Bake is a leading brand in safe and sunless tanning technology. It provides a natural healthy tan used by many celebrities for that long-lasting glowing look. The UK’s number one nail brand with long lasting, professional nail polish available in huge variety of colours and finishes. 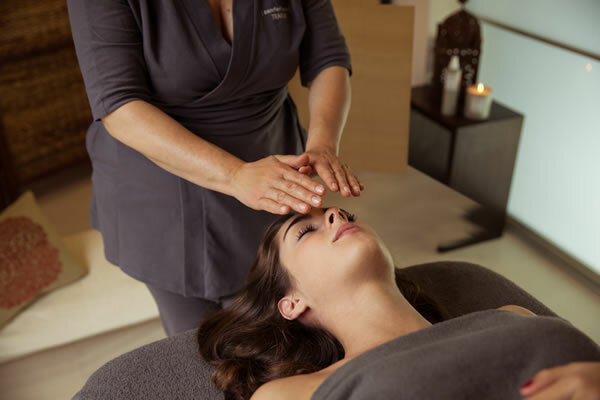 The Marcliffe Spa is delighted to offer two new packages for 2019. The package incorporates 2 new signature treatments and a delicious lunch served in the Drawing Room or Conservatory Restaurant. Please give Tracy a call on 01224 865928 and she will be delighted to book you in. Please have a look at our full brochure for a list of all the packages we currently offer.